Glideaway’s Grand Comfort Base is one of the premier adjustable bed bases in the industry with all the features you could need to get a better sleep and many more that just make life easier. 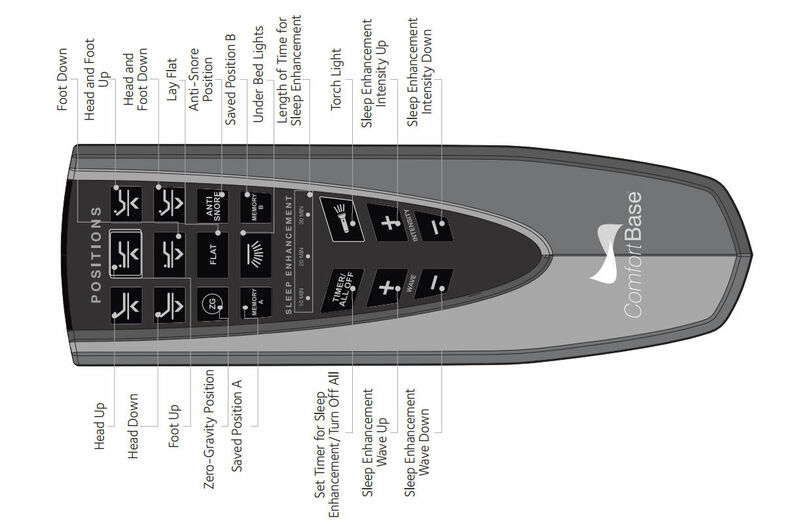 In addition to a fully customizable sleep position, there are anti-snore and zero-gravity presets with 2 additional memory positions; advanced “Sleep Enhancement Technology” with timed variable massage wave motors; multiple USB charging stations, under-bed lighting, and even a flashlight. The Dynamic Force motor is faster, quieter, and more efficient than any other bed we sell. There’s truly nothing left out of this adjustable bed base – in terms of quality of comfort, durability and convenience. Glideaway’s Grand Comfort Base is one of the premier adjustable bed bases in the entire sleep product industry and carries a very competitive price tag. 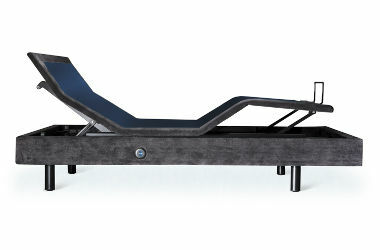 In addition to under-bed lighting, a charging station with USB ports (two on each side) and both Zero Gravity and Anti-Snore pre-programmed positions, this model incorporates a Dynamic Force motor; a patented lifting mechanism that is twice as efficient as competing adjustable beds and that allows the bed to become stronger as it rises! Wall-Hugging Design allows back travel up to 11”, making the Grand Comfort quite convenient for those of us with items on our nightstands that we’d like to keep handy. As with all Glideaway adjustable bed bases, this one has a very quiet, German-engineered motor. An advanced “Sleep Enhancement Technology” massage system offers you four wave modes, four levels of intensity and three timer options.